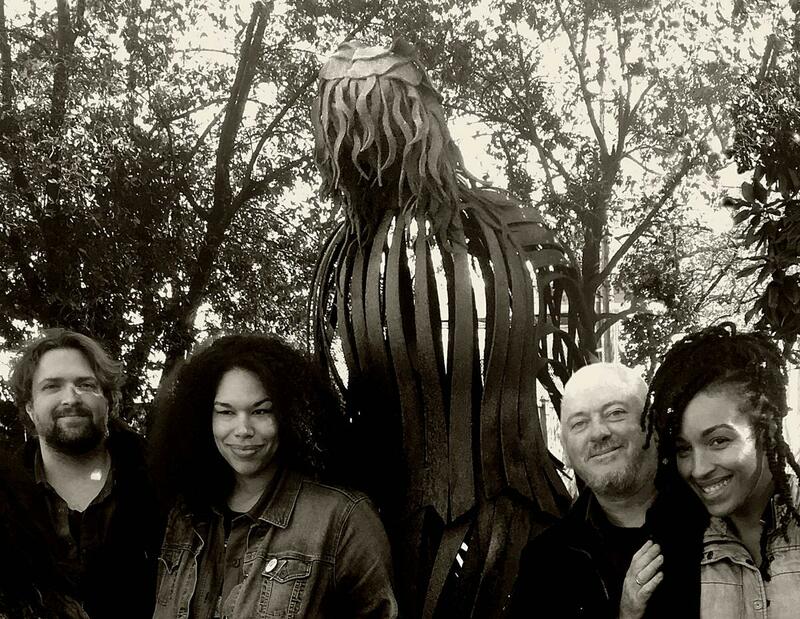 Jon Langford is a rarity in the music business. I can’t think of another artist that can be called a pioneer of British Post-Punk (with The Mekons and The Three Johns) AND a beloved Americana singer/songwriter. But don’t misunderstand the man: this is NOT a case of an artist changing musical styles to chase fame and fortune! In fact, one can find traces of the American musical landscape in the early Mekons releases although they are buried amongst the many shadows that the band were prone to throw during their inspiring career. 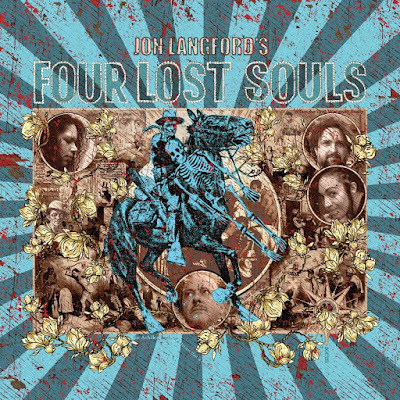 Over the years, Langford traveled many different musical roads, all of which lead to the glory that is FOUR LOST SOULS. His Welsh upbringing is given away when his accent is revealed throughout the album yet his love of American roots music is pure and true. Recorded at the NuttHouse Recording Studio in Sheffield, Alabama, FOUR LOST SOULS embraces the heart of American music and presents it in new – yet comfortably familiar – ways. Channeling the spirit of the classic Muscle Shoals sound but giving it a fresh coat of paint, Langford recorded the album with a group of his Chicago mates as well as legendary Muscle Shoals/Fame studios musicians like David Hood and Randy McCormick. You’ll also find steel guitarist Pete Finney and guitarist Will McFarlane rubbing shoulders with Langford, Justin Holder, Grant Johnson, John Szymanski and vocalists Bethany Thomas, Tawny Newsome and Tomi Lunsford. The songs on FOUR LOST SOULS can be playful and heartfelt, passionate and soulful. They mix rock, folk, country and soul with a renewed sense of energy. Langford is an artist that understands the connection between music and the listener. Tracks like "Natchez Trade", "Fish Out Of Water" and "Oxford Mississippi" are instantly charming. While a track like the wonderful “I Thought He Was Dead” may not sound anything like the early Mekons, it certainly contains the same heart that fueled those songs decades ago. We all grow over the years and we should let our musical heroes do the same. 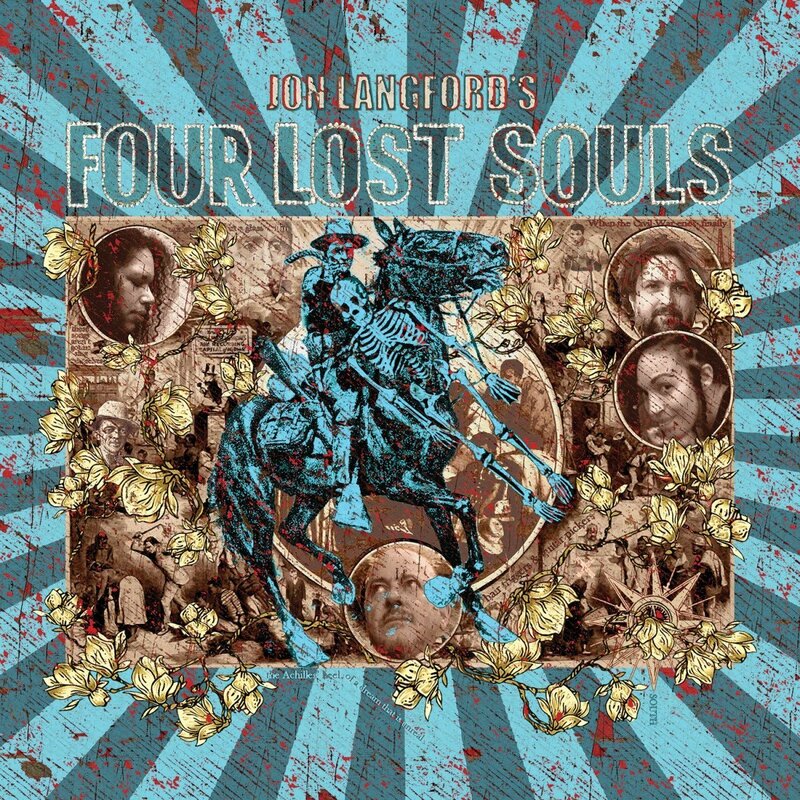 On this release, Jon Langford has proven himself to be one of the most under-appreciated artists of our generation. We can only hope that FOUR LOST SOULS will help him find a bigger audience that appreciates his art and his musical vision.